As the victim of a car accident, you can benefit from consultation with an experienced lawyer who prioritizes your case with personal attention and focus. Car accidents caused by negligence or inattentive drivers are potentially very devastating. A negligent driver is more likely to cause an accident at a high speed because of decreased reaction time. Similarly, if a defective auto part or tire blowout is the cause of your accident, you might be caught by surprise with little time to react or even lose control of your vehicle. At Babbitt & Johnson P.A, our Florida car accident attorneys go straight to work once you contact us. We independently investigate each personal injury car accident claim we take and preserve evidence at the scene. There may be no other type of accident that is more tragic than one that is caused by a drunk driver. One hundred percent of these accidents could be avoided if the drivers would just make the right decision and call a cab or give the keys to someone who has not been drinking. Not only must drunk drivers answer to the law for their crimes, they must also answer to their victims. The potential for serious injuries tends to be much higher in accidents involving drunk drivers compared to those where the negligent driver was sober. Drunk drivers have been shown to have slower reaction times and impaired depth perception, which can increase the possibility of a high-speed impact. When you hire our firm, we will conduct a thorough investigation of the accident and work to identify all negligent parties. In some cases, individuals or establishments that serve alcohol to a person who is under the age of 21 or is known to be addicted to alcohol can be held liable if that person causes a serious accident. We diligently pursue every available option in an effort to secure the best possible result on your behalf. As technology advances, so does the American public’s obsession with using it at every hour of every day. Nowhere is this more apparent than the use of the cellphone while driving. When a person is behind the wheel, he or she should be concentrating on driving and nothing else. Still, people are constantly making phone calls, sending texts, getting directions or using other applications when they should be focused on the road ahead. The injuries in cellphone-related accidents can be much more severe than in other accidents. To use a cellphone, the driver must take his or her eyes off the road. If traffic stops suddenly and the driver is looking down, he or she may not have time to hit the brakes before crashing into the car ahead. Distracted drivers are also prone to drifting into adjacent lanes. If the driver drifts into oncoming traffic, it could result in a full-speed, head-on collision. We have helped countless clients who have been injured in Florida car accidents caused by cell phone usage. Attorneys at our firm have a complete understanding of the benefits provided to injury victims under the law, and we fight aggressively to secure compensation that accommodates your current and future needs. City streets, county roads, state highways or interstates that are improperly designed or maintained can present an extremely hazardous situation for drivers. If you have been involved in an accident that was caused in any way due to the layout or condition of the road, you may be entitled to collect damages, regardless of who caused the accident. At the law firm of Babbitt & Johnson P.A., we provide skillful representation to people throughout south Florida who have suffered serious injuries in auto accidents. In cases where poor road maintenance or defective design contributed to the cause of the accident, the government entity that has jurisdiction over the road may be held liable for injuries that happen as a result. These cases can be quite complex because they involve filing a lawsuit against a government agency. Our attorneys are admitted to try cases at every level of the court system, and we understand the specific processes involved in pursuing these legal actions. We have been involved in dangerous road cases against municipalities, counties and the state of Florida. No matter how your accident occurred or who was to blame, you should have your case reviewed by one of our attorneys. Our extensive background in these cases allows us to quickly and accurately determine if you may have a claim. We will fully investigate every aspect of your case and work to determine if other parties, such as contractors or suppliers, may have shared in the responsibility for your injuries. No matter where you go in South Florida, it doesn’t take long to find road construction. With the ever-increasing number of vehicles on our roads and highways, accidents are bound to happen. While most people involved in auto accidents only focus on the other driver, construction crews can often share in the liability for your injuries. The West Palm Beach construction zone accident attorneys at the law firm of Babbitt & Johnson P.A. represent victims who have suffered serious injuries in car crashes that were caused due to the negligence of another. We are committed to seeking the maximum compensation available for every client. When you hire our firm, we will conduct a thorough investigation of your accident. When appropriate, we will bring in accident reconstructionists, road construction specialists and any other experts necessary to help us build the most compelling possible case on your behalf. We pursue every available option in an effort to secure the best possible result on your behalf. Even in the most violent accidents, every vehicle should have safeguards built in that are sufficient to protect against fuel-fed car fires after the crash. If you or a loved one has suffered a serious injury in an accident that involved a car fire, you may have grounds for a claim against the auto manufacturer in addition to any claim you may have against other parties involved in the accident. 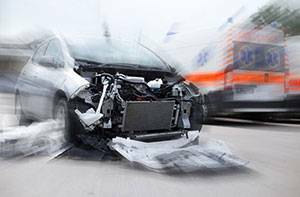 At the law firm of Babbitt & Johnson P.A., our West Palm Beach car fire accident injury attorneys have extensive experience handling a broad range of complex automobile accident and product liability litigation. No matter how the fire started, we will pursue maximum compensation from the manufacturer as well as the negligent driver who caused the wreck. We understand the types of injuries that can happen in a fire and the emotional trauma that victims can undergo. We are committed to getting the justice you deserve, and we will seek full damages for your pain and suffering, emotional distress, medical bills, property damage and any other considerations appropriate to your case. When you are in an auto accident, you have little time, if any, to react or prepare yourself for the impact. In these instances, you have no choice but to rely on the safety of your vehicle to protect you and your passengers. If your vehicle fails to provide that safety, the resulting injuries can be life changing and often fatal. When vehicles fail to provide adequate safety, it can often imply a design defect that could make the manufacturer liable for the victims’ injuries. One design defect that has been a persistent issue for many years is roof collapse in rollover accidents, particularly in SUVs. If you or a loved one has suffered a serious injury in a rollover accident, you have the right to seek damages from the manufacturer. The Florida motor vehicle rollover accident attorneys at the law firm of Babbitt & Johnson P.A. have extensive experience handling a wide variety of complex auto defect cases. We have an outstanding track record of success in these cases, and we know the best approach to securing maximum compensation for your injuries. If a rollover accident has resulted in the death of a loved one, we can help you pursue a wrongful death claim against the negligent parties. In addition to securing compensation for our clients in these cases, we strive to bring about change in the way auto manufacturers design vehicles so that other families do not have to go through a similar type of tragedy. Defective tires are responsible for countless auto accidents, all of which could have been prevented if the manufacturers had done the necessary testing to ensure that the tires were road worthy. If you or a loved one has been injured in an accident that involved a defective tire, whether it was on your vehicle or the other driver’s, you should speak to an experienced product liability lawyer as soon as possible. At the law firm of Babbitt & Johnson P.A., our Florida tire blow-out accident attorneys have helped clients successfully resolve a broad range of tire defect cases. We understand that taking on a major corporation can seem daunting, but no company, regardless of size or strength, gets a free pass when its products cause serious injury or death. These cases can be extremely complex, and the manufacturers will do whatever they can to imply that the failure was not their fault. When you hire our firm, we will conduct a complete investigation of the accident and enlist the help of any necessary experts to build the strongest possible case on your behalf. We understand these accidents and the types of injuries that can occur as a result. We have handled cases involving rollover accidents that resulted from tire blow-outs, and led to serious brain and spinal cord injuries, broken bones, paralysis and many others. Our understanding of these injuries allows us to be much more proactive in seeking the full and fair compensation you deserve. If your loved one has been killed in an auto accident, you and your children have certain protections under the law that may allow you to seek damages against the negligent parties. While the legal implications of your loved one’s death may not be at the front of your mind right now, it is important that you take steps to ensure that your family’s rights are protected. The West Palm Beach fatal car crash attorneys at the law firm of Babbitt & Johnson P.A. have helped clients across the state who have lost a loved one due to the negligence of another driver. We understand what a difficult time this is for you. You can count on us to do everything in our power to resolve your claim in the most efficient and stress-free manner possible. These cases can be extremely complex, and it takes skilled representation to ensure that you and your children receive the maximum benefit allowed under the law. Our attorneys have been helping clients navigate wrongful death claims since 1967. We have a complete understanding of the law, and we know what it takes to secure the financial support you need. Bicyclists have specific rights under state and local law to ensure their safety. When negligent drivers fail to observe those rights and accidents happen, the resulting injuries can be devastating, if not fatal, to the bicyclist. If you or a loved one has suffered a serious injury due to the negligence of an inattentive driver, you have the right to seek full compensation for your injuries. Babbitt & Johnson P.A., has experience handling all types of bicycle accident claims. We fight aggressively to see that the negligent parties are held accountable for the injuries you have suffered and diligently seek a settlement that takes into account your pain and suffering, medical care, rehabilitation, lost wages, loss of earning capacity and property damages. As with bicyclists, when a pedestrian is hit by a car, it can result in extremely serious injuries, including broken bones, traumatic brain injuries, spinal cord injuries and, in the most severe cases, the death of the victim. Our attorneys are committed to seeing that the negligent parties are held accountable. The driver’s insurance company will try to do anything they can to avoid responsibility for your injuries. We will fully investigate the accident and dedicate our full resources to securing a positive result on your behalf. We will build the most compelling case possible, and work to secure the compensation necessary to accommodate your current and future needs. Each year, some 2.5 million people are injured in motor vehicle accidents in the United States – and more than 40,000 are fatalities. Indeed, automobile accidents are the nation’s leading cause of injury and non-disease-related death. For the victims and their families, these are often life-altering events; physically, emotionally, and financially devastating. And in many cases, they are the result of someone else’s negligence. Recovery isn’t just about getting well – it’s about getting answers. And it’s about getting compensation for medical expenses, pain and suffering, lost wages, future losses, and, in the most egregious cases, punitive damages. For four decades, Babbitt & Johnson P.A. has been helping clients to recover. We have the resources to pursue cases completely and aggressively – not just financially, but in terms of staffing, too. We obtained this verdict for the parents of a 19-year-old college student who was killed in a rollover of her Kia Sportage sports utility vehicle – a car that, the jurors agreed, was negligently designed. The vehicle flipped over six times after the victim, who was heading home over spring break, swerved to avoid a car that had entered her lane on the Florida Turnpike. She was wearing a seatbelt and died of head injuries. At trial, we successfully contended that several design defects contributed to the fatality, including a collapsed roof; a windshield that popped out during the roll; and the vehicle’s inherent instability, which caused the roll in the first place. This verdict was returned in a case where our client, a 50-year-old postal employee, required multiple-level disc surgery after his work vehicle was struck while he was carrying out his official duties. We negotiated this settlement for a model in South Beach who, while driving with her boyfriend, was hit by a motorcycle speeding at 90 miles an hour. She spent four months in the burn unit at Jackson Memorial Hospital. The case settled for the insurance policy limits. This award was obtained for the family of a 35-year-old killed in an automobile accident on an interstate highway. The death resulted from the defendant truck driver’s failure to maintain an appropriate speed. What victims of motor vehicle accidents often discover – many times when it’s too late – is that a valid personal injury claim isn’t, by itself, enough to win a case. They need an experienced lawyer, too. Only an attorney who has handled many cases, and built a record of success, has the mastery of court procedures – and insurance company tactics – that’s essential to obtain a just compensation for injuries and harm. Automobile accident cases are rarely simple. Indeed, even those that do not cause extremely serious injuries can present complex legal issues. And there are always pitfalls, like discussing the accident with the driver’s insurance company – something a potential plaintiff should never do. With a knowledgeable lawyer who can navigate the way, a good case can be a winning case – not a lost opportunity. Our decades handling motor vehicle cases have given us the expertise our clients demand – and our opponents dread. We don’t just know your case, we know the other side’s strategies, and we exploit that every time we walk into a courtroom. Whether it’s a serious car accident involving injury or death, or a simple rear-end collision, we help our clients obtain fair compensation. And we help them recover. We keep you informed and help you make confident decisions throughout the legal process as we prepare your case for court litigation. We are able to handle the complexities of any case, and we can guide your case to your best possible resolution with a customized, skillfully constructed strategy. We will handle all legal aspects of your case in your best interests, including filing, discussions with insurance companies and negotiations with opposing attorneys. Whether it’s a serious accident involving injury or death, or a simple rear-end collision, we help our clients obtain fair compensation. If you or a loved one has been injured in a motor vehicle accident, contact the West Palm Beach car accident attorneys at Babbitt & Johnson P.A. at (561) 684-2500. We represent victims of car accidents all over Florida.